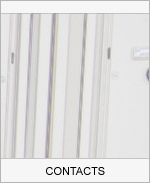 TÜV ThÜringen e.V. 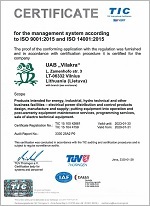 issued certificate for the management system according to ISO 9001:2015 and ISO 14001:2015. Scope: products intended for energy, industrial, hydro technical and other business facilities - electrical power distribution and control products design, manufacture and supply of equipment into operation and post-warranty equipment maintenance services, sale of electro technical equipment. 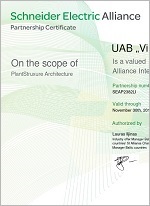 SPSC qualification certificate granting the right to be special buildings construction contractor. Buildings: residential and non-residential buildings; engineering networks: electronic communications infrastructure, hydrotechnical buildings. 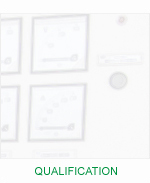 Constraction area: electrical engineering systems; process control and automation systems; remote connection (telecommunications) engineering systems; safety and fire alarm engineering systems. 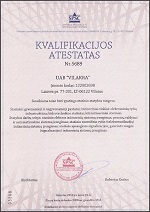 State Energy Inspectorate under the Ministry of Energy of the Republic of Lithuania certificate authorizing the operation of electrical devices. 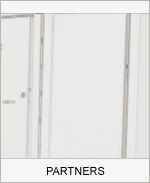 Electrical network and equipment up to 10 kV voltage technology management and maintenance works. 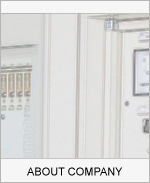 Electrical network up to 10 kV voltage relay protection, automation and control systems operation works. 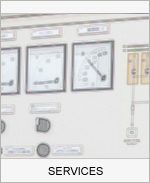 Electrical network and equipment up to 1000 V operation works (except airlines). 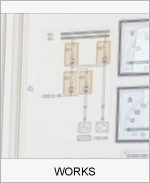 Electrical network and equipment up to 1000 V test works. Electrical wiring up to 1000 V operation works. 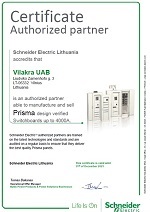 JSC "Vilakra" is authorized "Scheider Eelectric" partner in Lithuania. 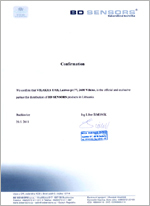 JSC "Vilakra" is certified "Scheider Eelectric" alliance partner. 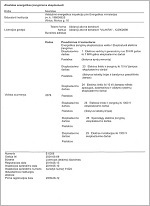 JSC "Vilakra" is the only authorized "BD SENSORS" partner in Lithuania.